Remember back in the day when you only had a corded home telephone? And that was all! You connected with your friends and family while sitting 4 inches from the wall in your kitchen. Times sure have changed. Not only do fewer and fewer people even have a home phone, but we are overloaded with smartphones, tablets, laptops and other wireless devices. 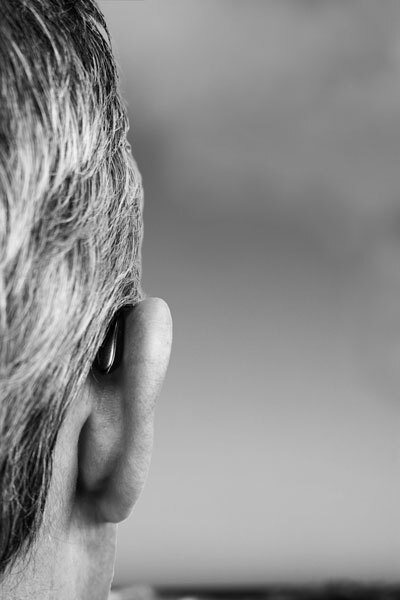 For those with hearing loss in San Diego, the increase in devices may seem daunting. But with the new advances in wireless hearing aid technology, those who use hearing aids are able to connect with more devices than ever before. Wireless technology enables users to control their hearing aids from remotes, or apps on their smartphones. Users are able to change the program or adjust the volume, all without touching the device. This also enables manufacturers to create hearing aids with fewer buttons, freeing up room for additional features. Probably the most obvious use of wireless technology is your ability to pair all of your other devices with your hearing aid. You will be able to answer phone calls, listen to music and even hear directions from your phone’s GPS. You will also be able to utilize hearing loops, FM and infrared systems to help you hear better in large conference centers or small classrooms. One thing those with a hearing impairment miss when using their hearing aids is the binaural hearing they were used to. We have two ears for a reason; the brain is able to quickly analyze the timing and level differences of the sounds it hears to figure out which side of the head they are coming from. But until recently, those who needed two hearing aids had to go without, as traditional hearing aids worked independently of each other. Now, hearing aids are able to communicate with each other; they are able to actually compare the timing and level differences of sounds received in the microphone and provide the brain with correct information. Wireless technology has enabled those with hearing loss who use two hearing aids to have an improved experience. New hearing aids are able to communicate with each other. This means they are able to digitally process sound and both switch to the correct mode in only nanoseconds. This drastically improves the sound quality. If you have been relying on an older hearing aid model, now is the time to speak with your San Diego audiologist at San Diego Hearing. These experts will help you figure out the correct level of technology you need as well as choose the right hearing aid for your type and degree of hearing loss. Your audiologist is your gateway to a better quality of life. ←The Sweet Sounds of Tinnitus! →Can Young People Also Suffer from Hearing Loss?